Good Morning! I hope you all have the most beautiful relaxing day. I think Sundays are a day to rest and get ready for the week ahead. Its a time to reflect on the past week and see what we can do better in the upcoming week. 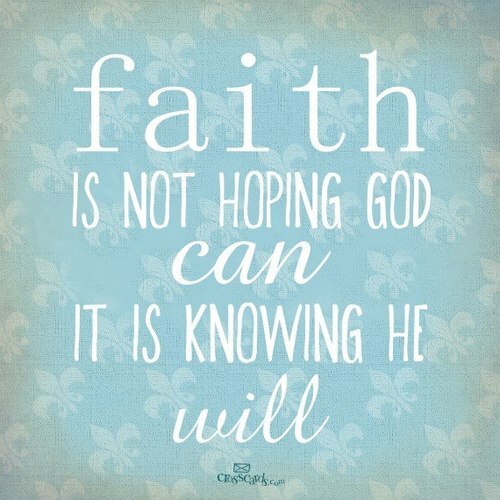 Its about having faith that no matter what happens GOD WILL BRING YOU THROUGH IT. Today I am letting a man into my home that I divorced over 10 years ago. A man I never thought I would be able to be in the same room with.. and today here he comes.. and he's staying for a few hours. Who would have guessed.. We are coming together for the kids and only the kids. It seems as time goes on, I am putting my feelings more and more on the back burner for the feelings of my kids and my family. I think that's the way its suppose to be right? Well I need a coffee refill and I have to get dressed before they show up. Talk to you guys later today! 3 comments on "Sunday Inspiration.. "
You are a strong woman that is for darn sure. I honestly don't know how some women do it, but it's good that you can do it for your children. I also love your picture/quote. It's nice to have the positive affirmation of faith to get you through. I found your blog on the TGIF blog hop, feel free to take a glance at my blog too. I hope you make it through your day and enjoy the rest of your weekend. @ Stephanie.. its not always been this easy but we want to make the kids happy and we both try to keep that our focus. I checked out your blog and followed you back! =) Have a great night!